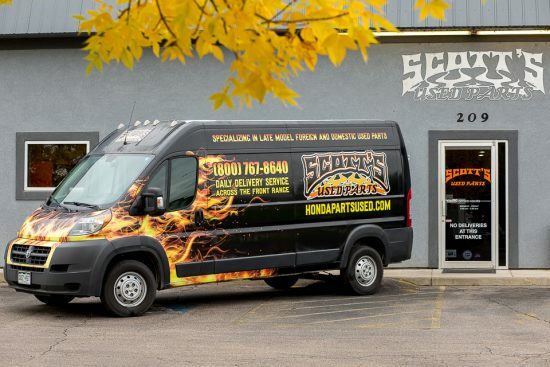 Scott’s Used Parts offers the quality used auto parts Fort Collins drivers need to complete a range of do-it-yourself repair jobs on their vehicles. We offer competitive pricing for our used auto parts so that vehicle owners in and around Fort Collins, Colorado can afford to take care of the routine maintenance and repair projects on their vehicles for less overall cost. When it comes to finding auto parts at a reasonable price for your vehicles, you will find that quality used auto parts offer a greater value. At Scott’s Used Parts, we offer a full selection of salvaged and used auto parts as well as a superior level of customer service ensuring you can find and purchase used auto parts with greater ease. When it comes to shopping for used auto parts, quality is key. Spending your hard-earned dollar with second-string salvage yards and shady parts dealers can leave you dealing with broken parts, faulty components and equipment that may not be the greatest value. Price is always an important concern when it comes to obtaining replacement auto parts Fort Collins drivers need, but doing business with salvage yards that fail to provide quality used auto parts can lead to costly repairs and a higher likelihood of your vehicle developing future mechanical issues. We perform a thorough cleaning, inspection, and testing on all parts and components to make sure our customers can find and purchase the best used auto parts. 90 Day Standard Warranty on most parts. We also offer 1-Year, 3-Year and Lifetime extended warranties.